It all started over 70 years ago in 1946 when Fletcher Jones Senior met a man on a golf course who would forever change his destiny. Impressed by how successful the man had become by selling cars, the USC student decided to switch gears from being a law student to becoming an entrepreneur in the burgeoning automotive retail industry. After scraping together $1,200 — a veritable fortune in those days — Jones Sr. opened a modest used car lot in downtown Los Angeles and sold his first vehicle for $70. It was in the mid-1960s Jones Sr. passed his legacy to Fletcher “Ted” Jones Jr., who worked in a wide array of entry-level positions, ranging from sweeping the facility’s floors and working in the parts department before advancing into sales and management positions. 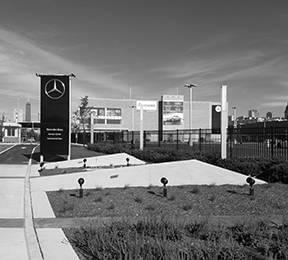 With his father’s guidance, Ted, opened his own dealership in the city of Whittier where he sold Mazda vehicles. Within a few years, the decision to sell the fuel-efficient cars would prove fortuitous, as the oil-crisis loomed and Americans began exploring their options for more fuel-efficient vehicles. At Fletcher Jones, we attract, nurture, and retain the most talented people in the industry by providing the highest quality work environment where productivity, creativity, and personal and professional growth can flourish. 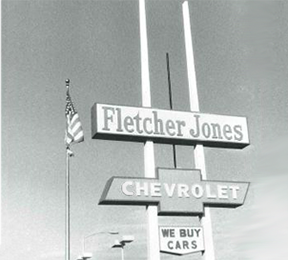 We believe our team sits behind the wheel of the Fletcher Jones brand that drives our company toward success. Choose from any of the departments below to discover what drives your passion. The strength of our team comes from respecting our differences and our mutual trust. At Fletcher Jones we set the standard by consistently producing outstanding results through a commitment to continuous and never-ending improvement. That is why we pursue dynamic change and drive it by encouraging creativity and individual initiative. Our team thinks, communicates, and acts in a manner that exemplifies personal and professional excellence. We believe that-in the end-it’s always the extraordinary efforts of our team members working together, that makes great things happen.